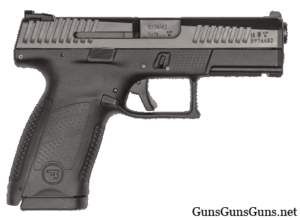 Summary: The description, specs, pricing and photos of the CZ P-10 C pistol. 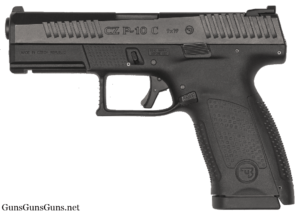 The CZ P-10 C from the left. 9mm 15+1, 17+1 7.3″ 4.02″ 1.26″ 5.2″ 26 oz. .40 SW 12+1 7.3″ 4.02″ 1.26″ 5.2″ 26 oz. 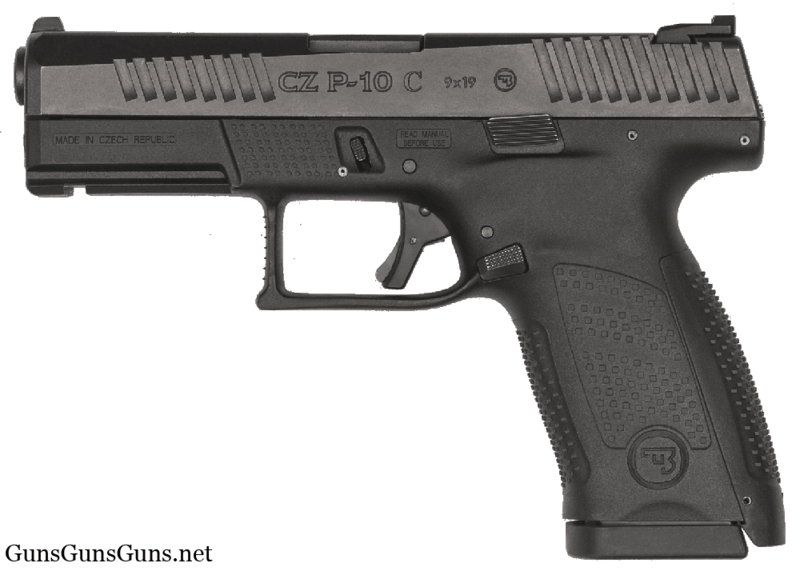 On camera: Check out Hickok45’s video review of the CZ P-10 C.
The P-10 C from the right. This entry was posted in .40 SW, $251-$500, $501-$750, 9mm, Compact, CZ, Full size, Semiauto on November 24, 2016 by Staff. Is there going to be a p-10 full size pistol? When will you be getting the cz p10c 9mm ? How can there be 91 ratings on this gun when it isn’t even being shipped yet ? When will the P10c be realest in South Africa?